19174 SW 16th St, Pembroke Pines, FL.| MLS# A10604084 | Susan J Penn l Best Agent l Buy & Sell South Florida Homes! 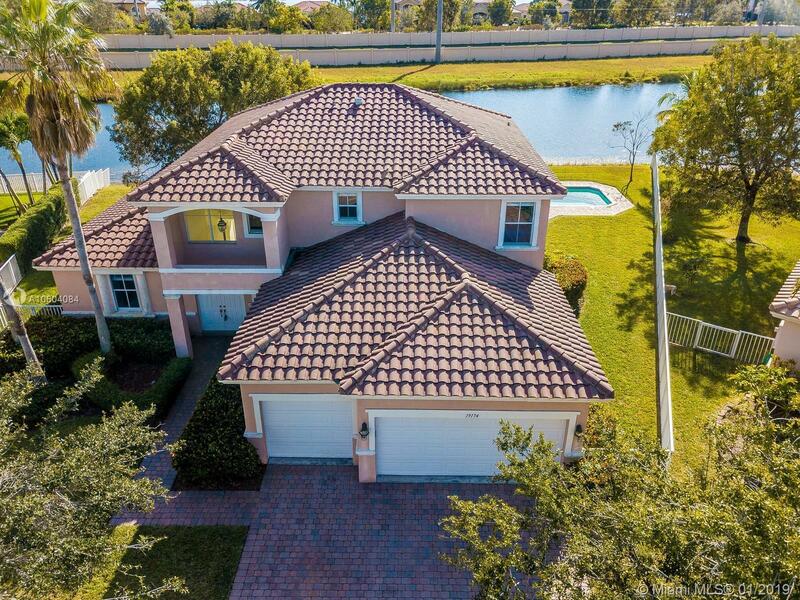 Walk into this gorgeous spacious home with an extended lot & be captivated by a wide canal view with no neighbors across the water. You can instantly picture yourself entertaining guest with your latest creations while enjoying peaceful sunrises & sunsets. This unique property awaits its new owners offering 5 bedrooms,3 car garage, 3 baths + cabana bath, High ceilings, open and bright layout. Kitchen offers 42â cabinets, cooking Island, Corian counter-tops, large pantry, breakfast area & Laundry with sink. 24X24 Marble flooring. 1st floor Master bedroom with canal & pool view, walk-in closet, offers separate roman bathtub&Shower. Private toilet with bidet. His & Hers vanity. 2nd floor is laminate throughout, 2nd & 3rd bedrooms share a Jack&Jill bath, 4th & 5th bedroom share full bathroom. Directions: From I-75 Exit Pines Blvd Going West, Make A Left On 184th Ave, Stay On Your Right Find Complex On Right (Encantada) SW 14th Street. From Gate Keep Straight Until SW 191st Ave, Make A Left, Immediate Left, Follow To Property 19174 SW 16th Street.